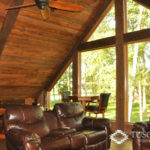 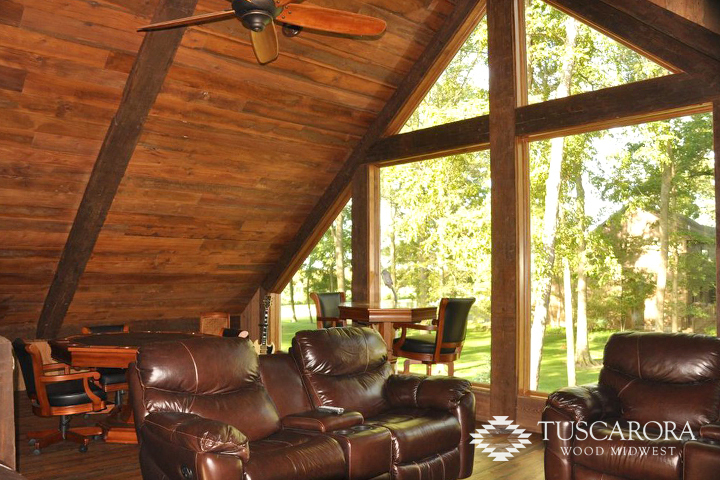 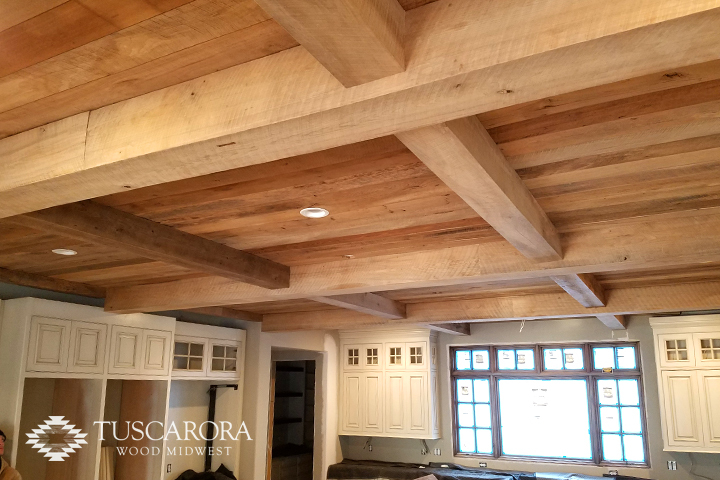 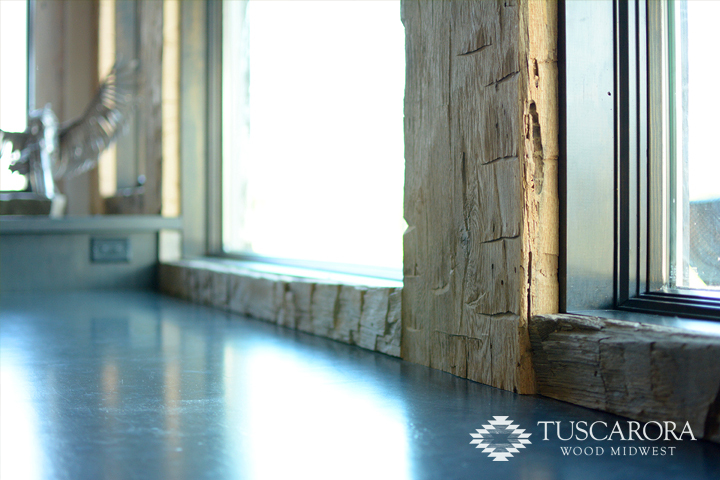 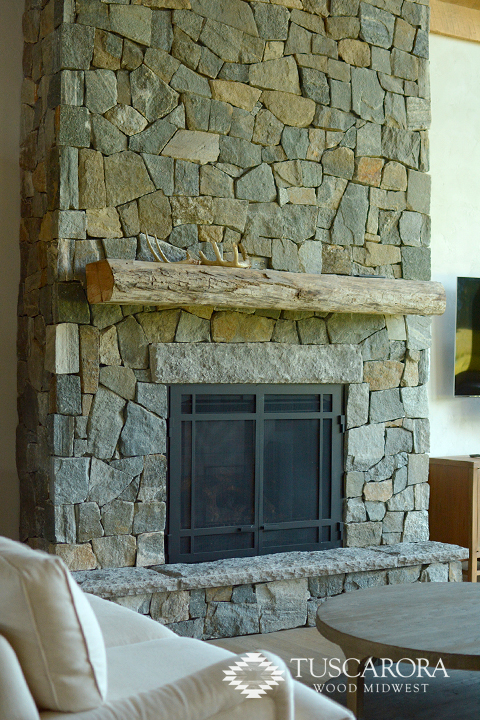 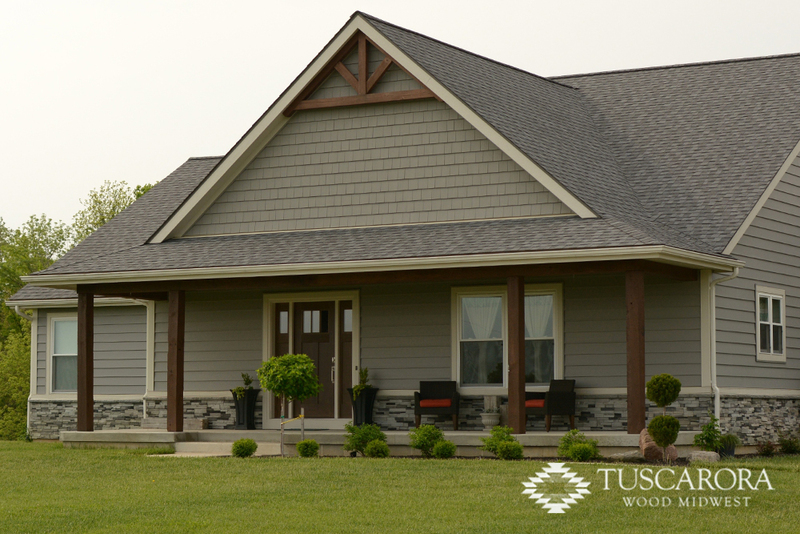 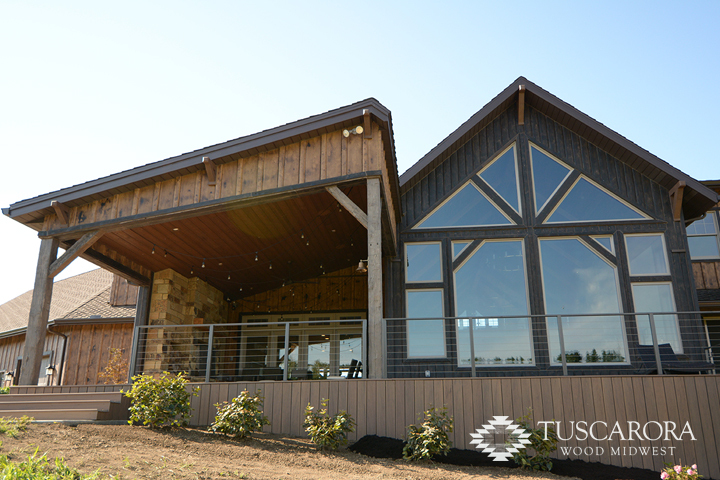 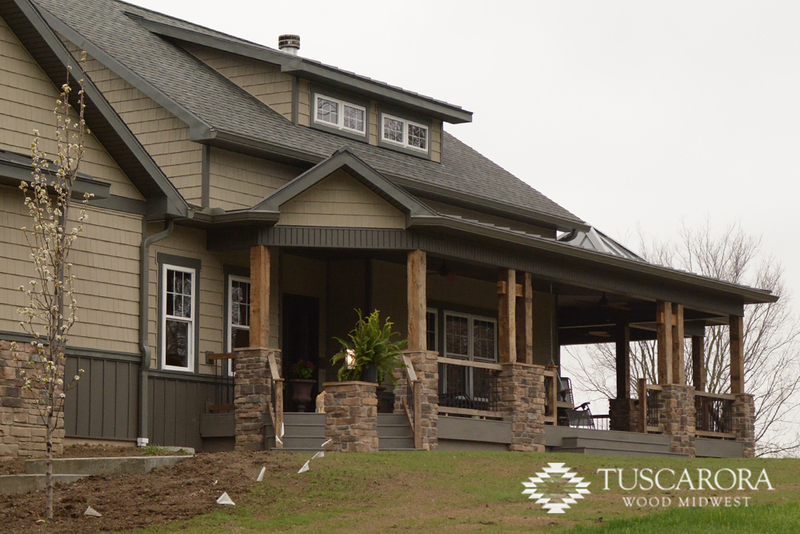 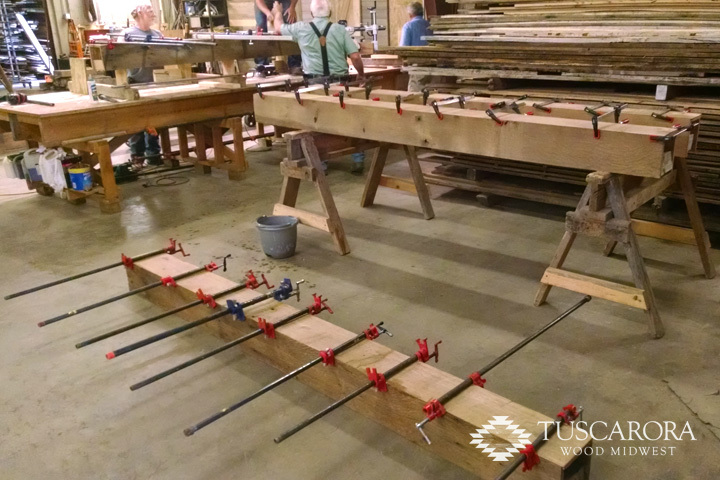 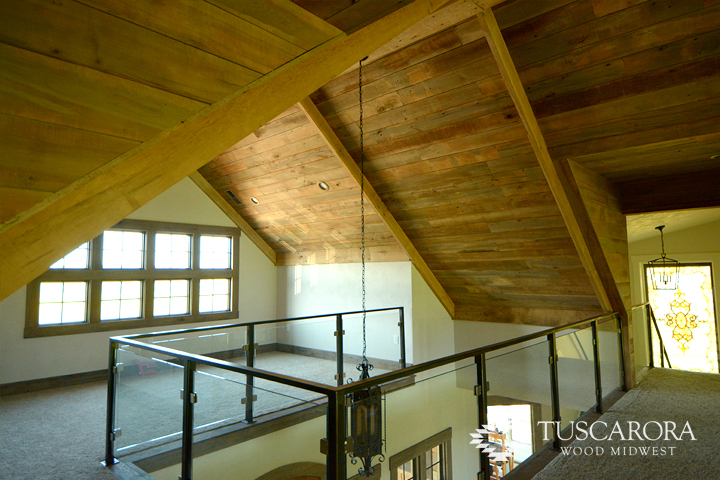 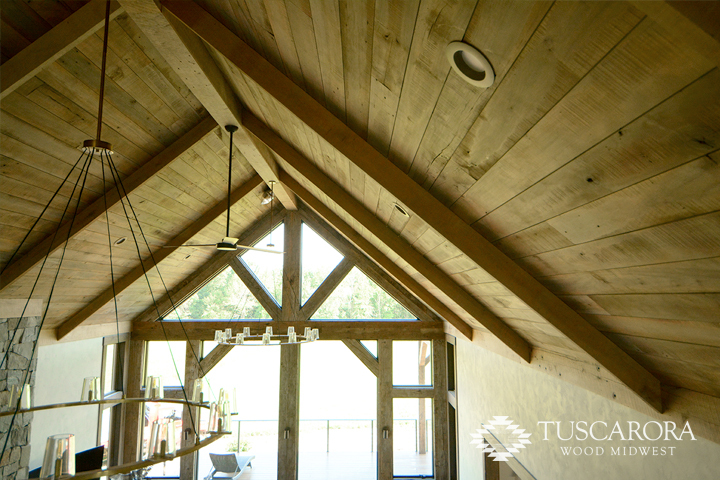 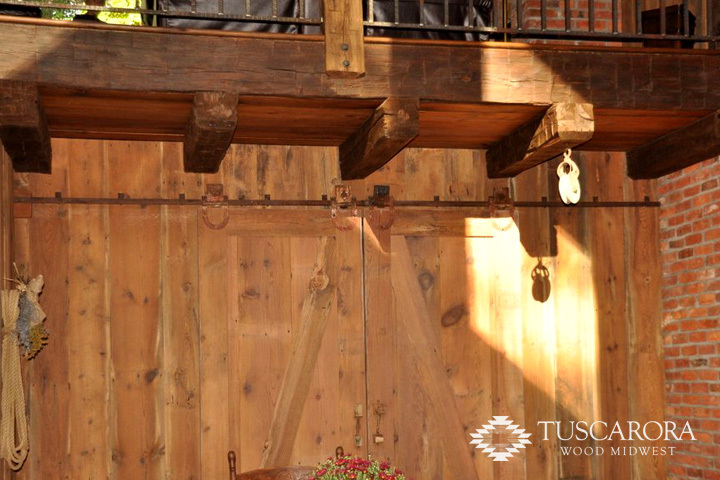 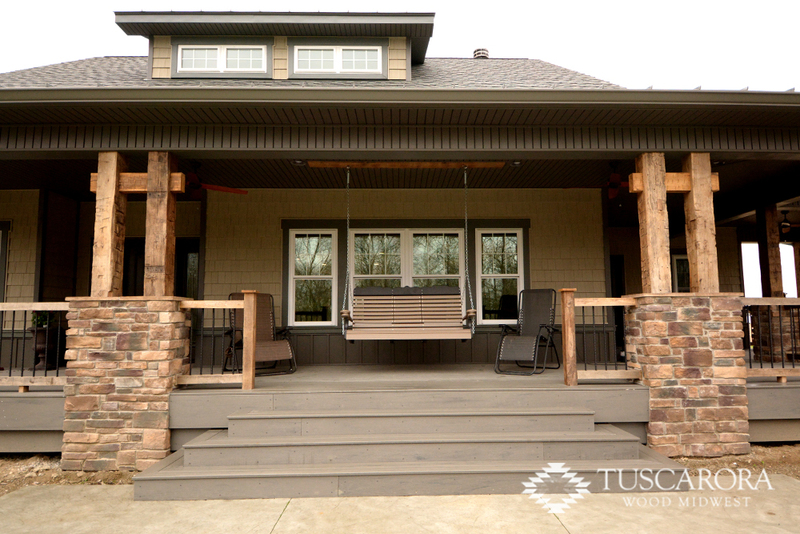 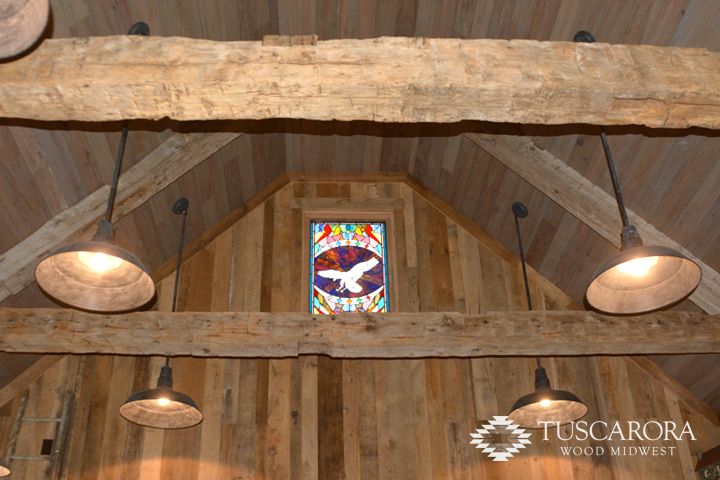 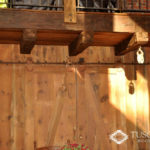 Tuscarora provides a wide range of reclaimed beam options – from large, hand-hewn and circle-sawn timbers for ceiling and timber frame applications to fireplace mantels and box beam accent pieces. 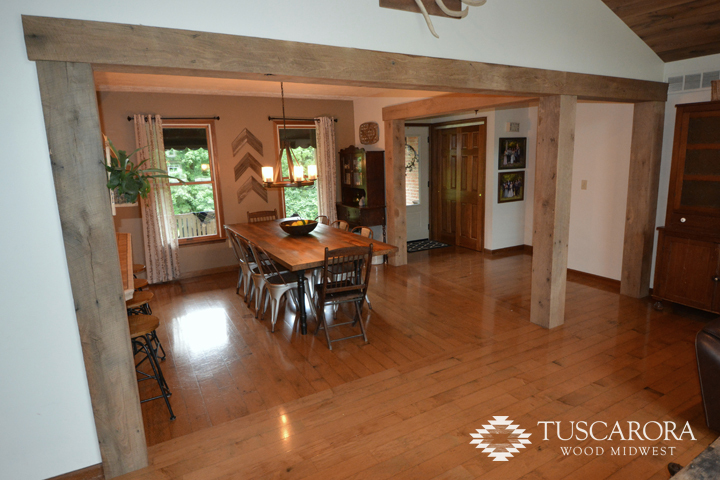 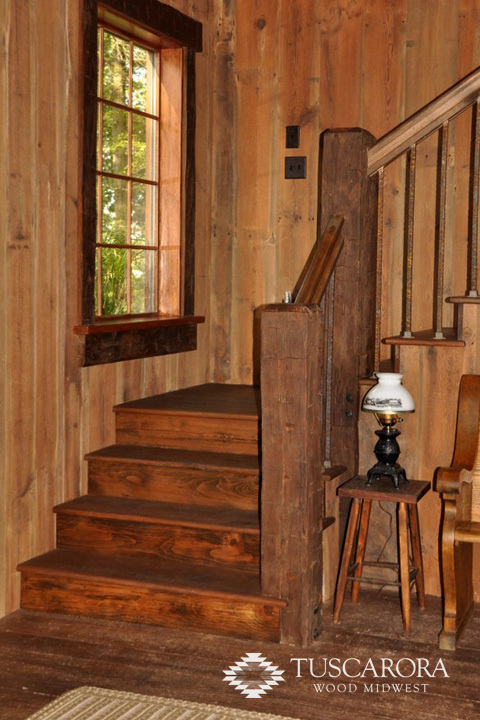 Nothing adds charm and an old world feel like adding these beautiful timbers that were sawn or hewn to size in the late 1800s to early 1900s. 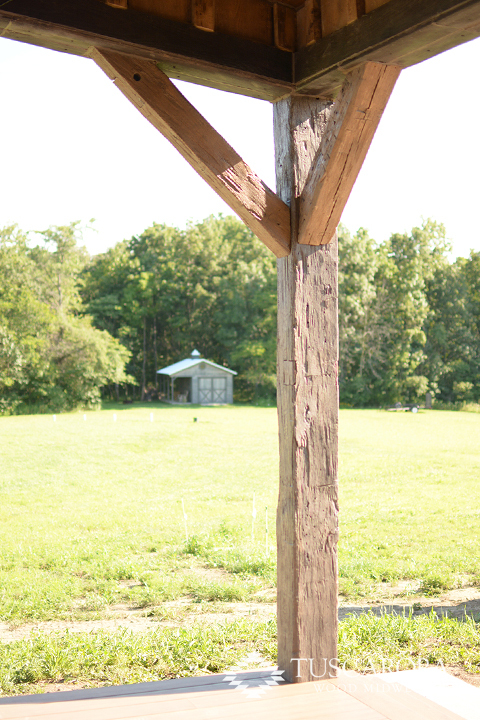 The beams and timber found in turn of the century structures were either cut down with axes and hand hewn by skilled craftsmen or sawn out using large circle saw mills. 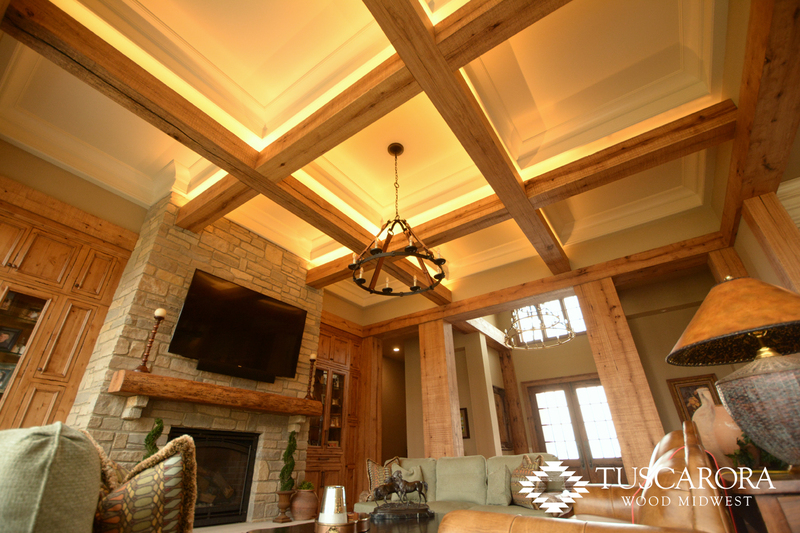 As these structures come down, we strive to repurpose these amazing timbers into both structural and cosmetic options for truss packages, ceiling décor and unique accent pieces. 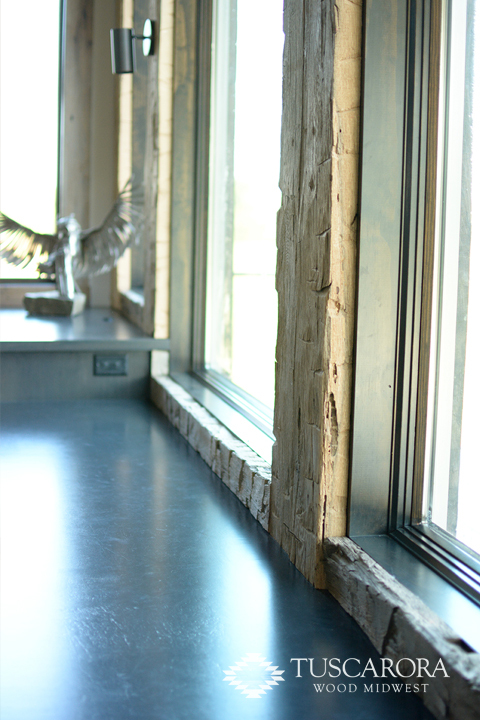 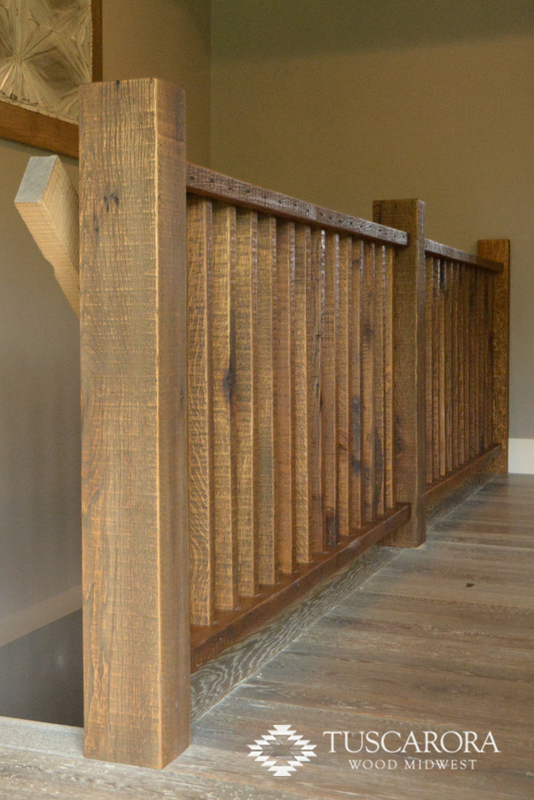 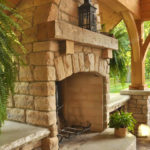 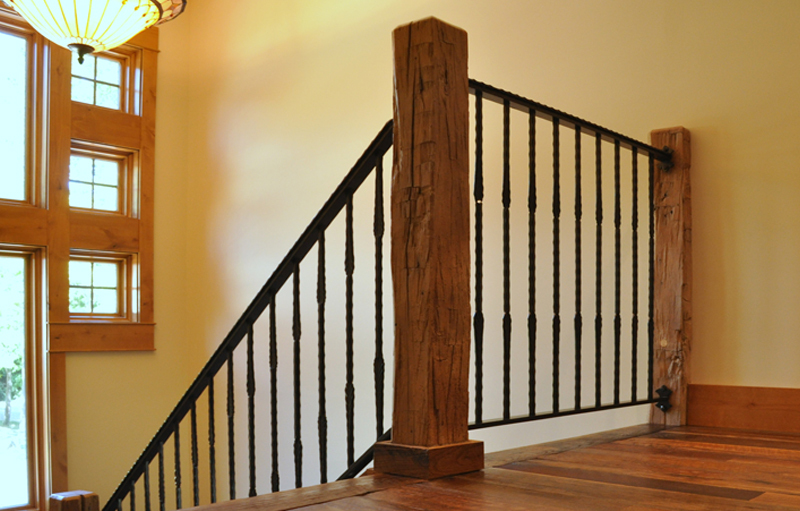 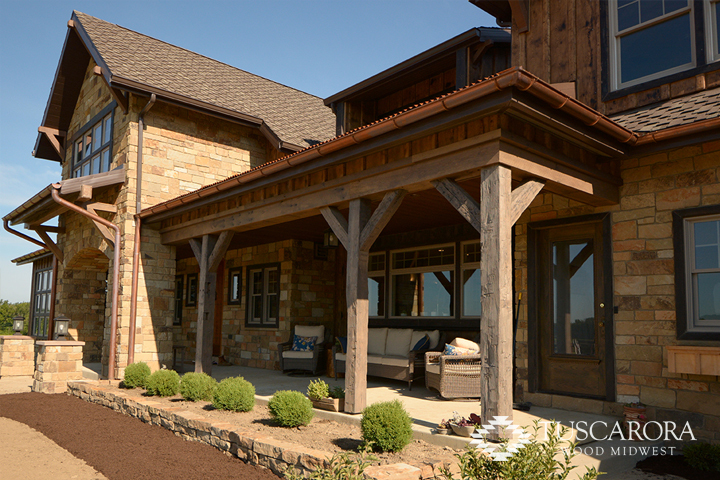 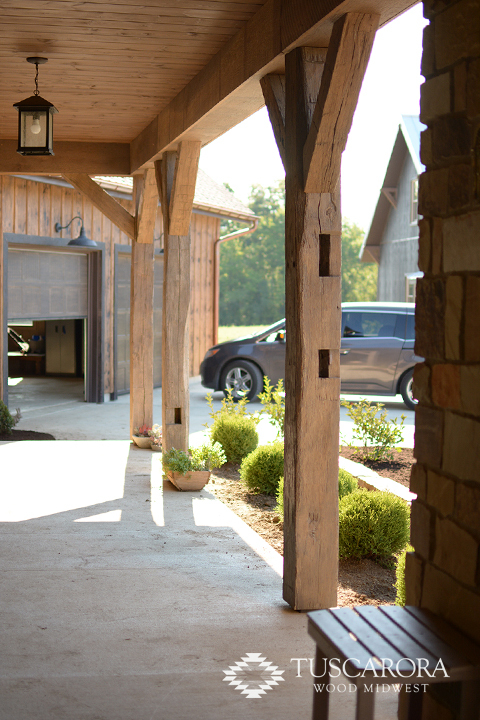 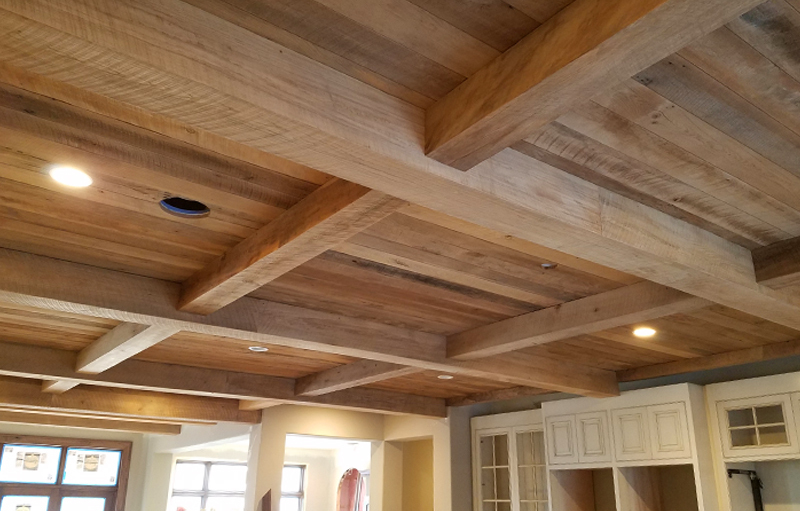 We offer a wide range of surface preparation from the rustic hand-hewn, hand sculpted faces to milled smooth beams for a more contemporary feel. 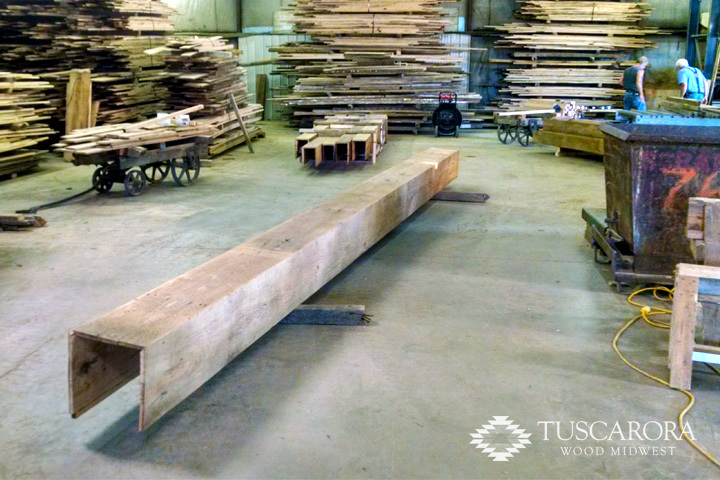 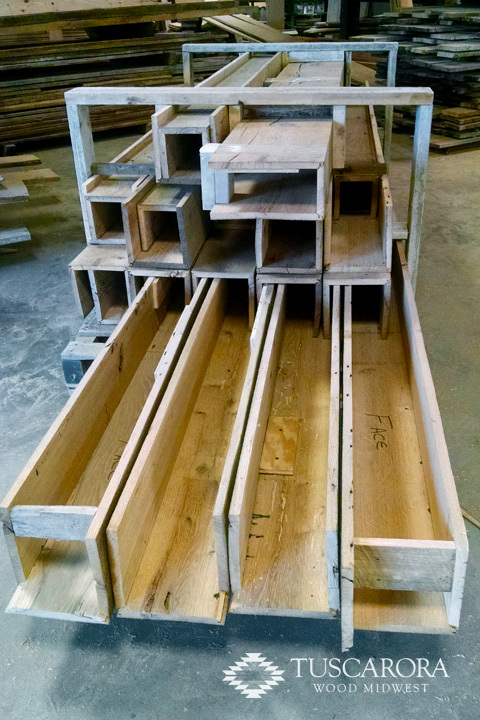 We can provide sizes from small 4”x4” beams up to 12”x12” beams in a variety of lengths, even 20+ feet long. 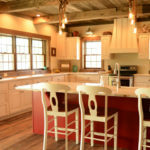 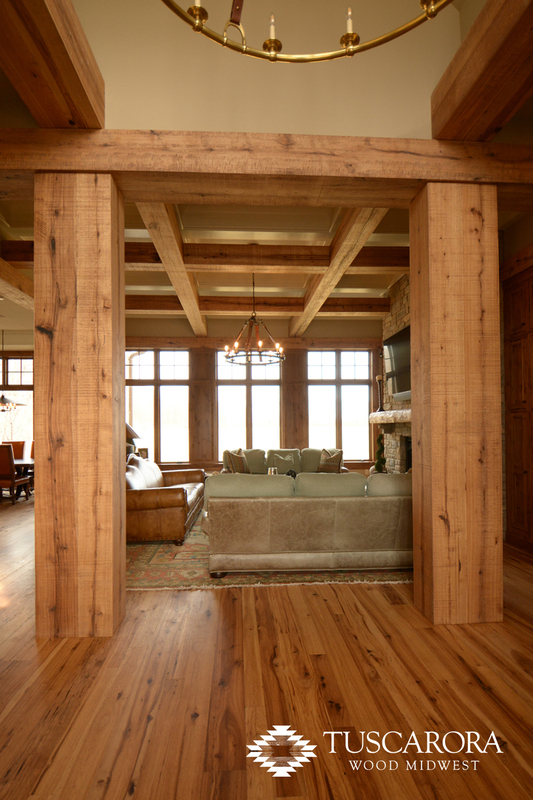 Box beams are a unique option if you desire the look of large timber, but are concerned about the massive weight or want to run electrical wiring inside the beam. 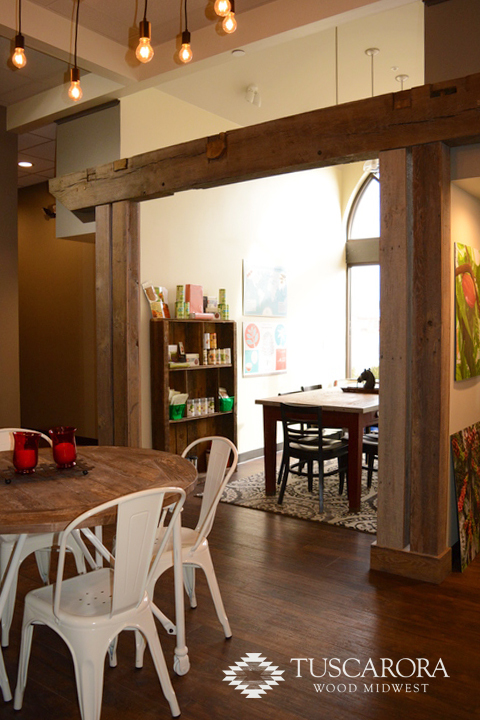 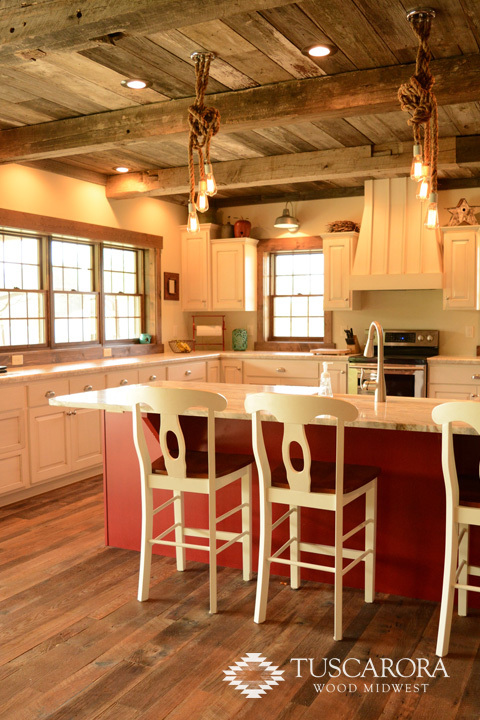 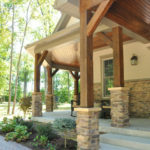 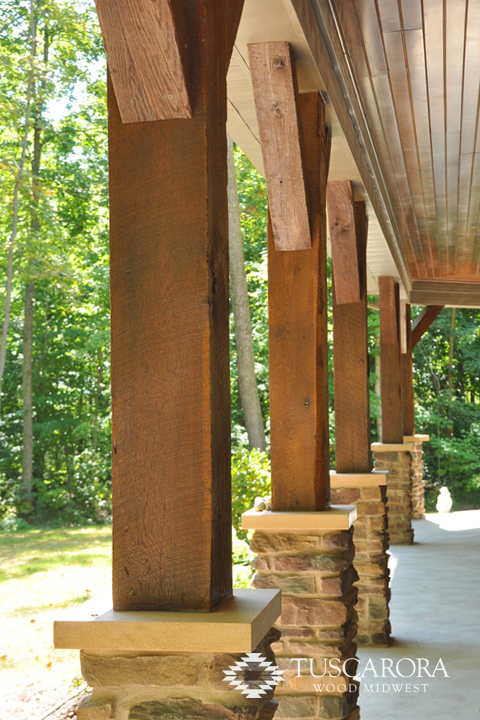 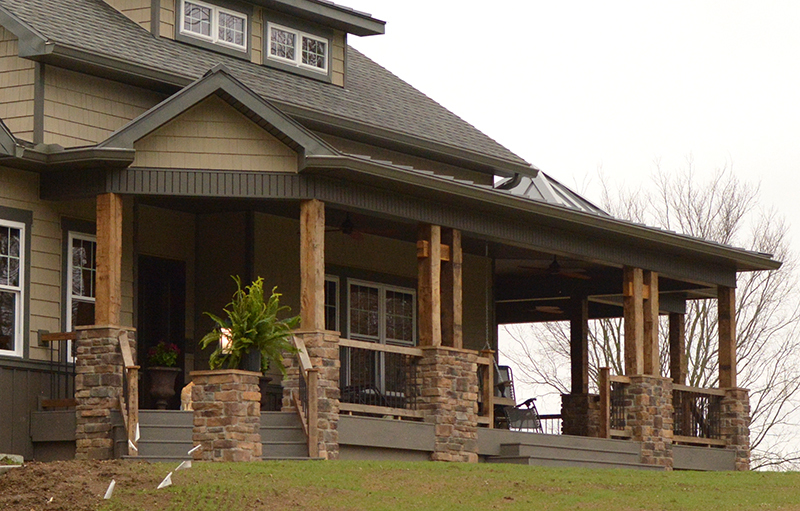 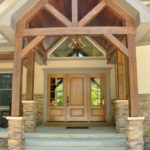 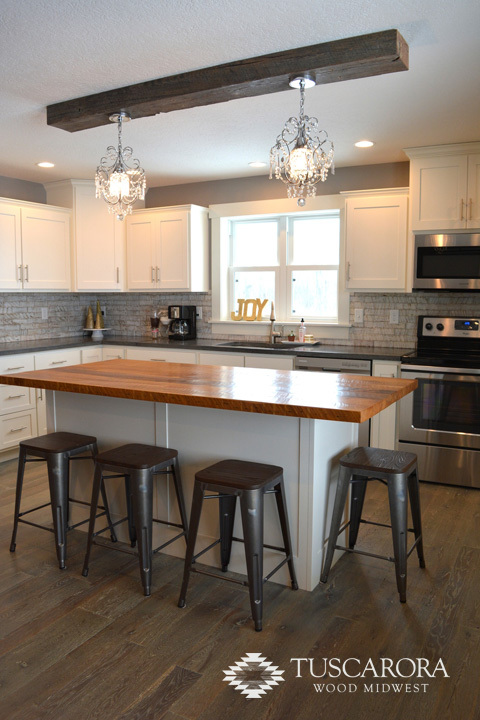 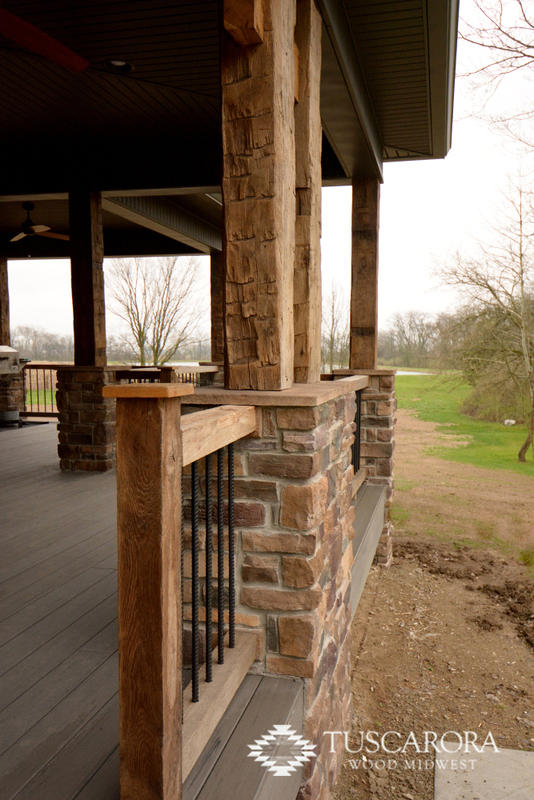 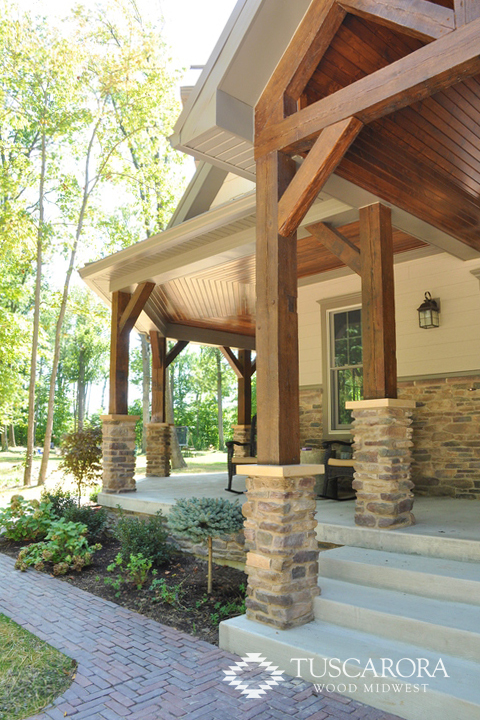 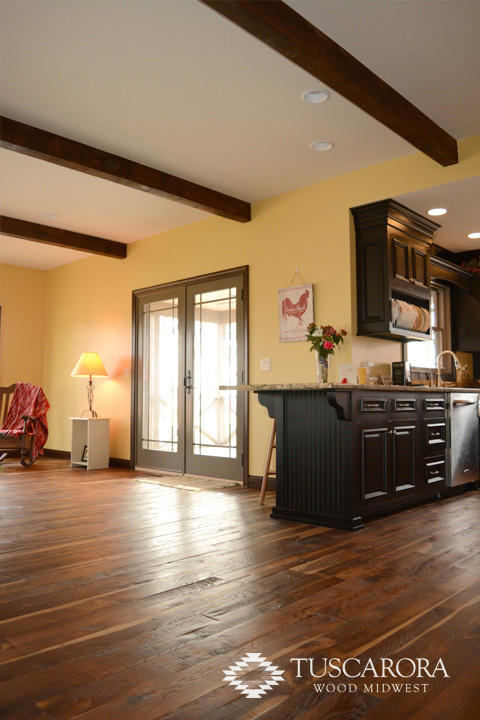 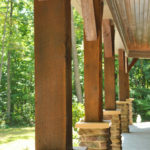 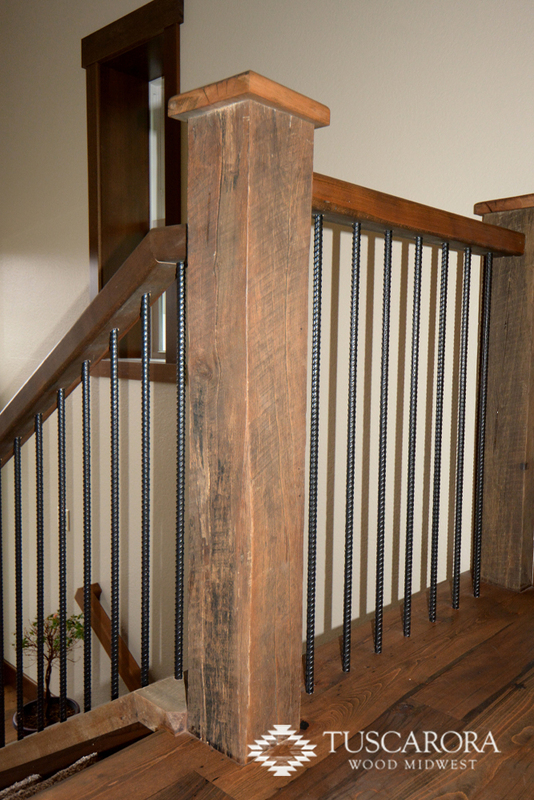 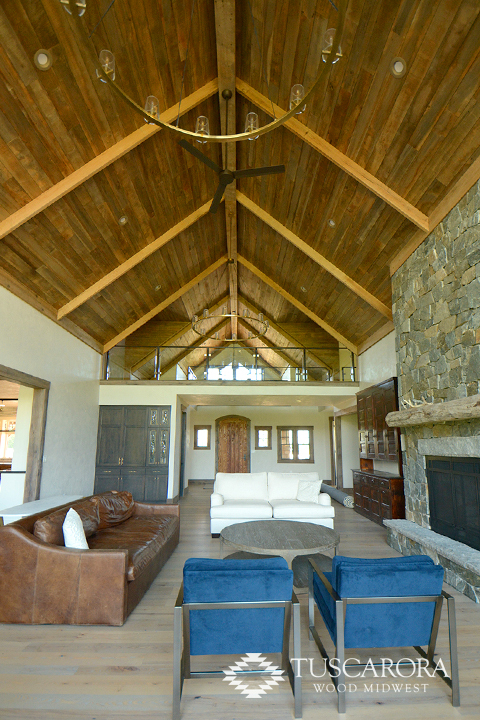 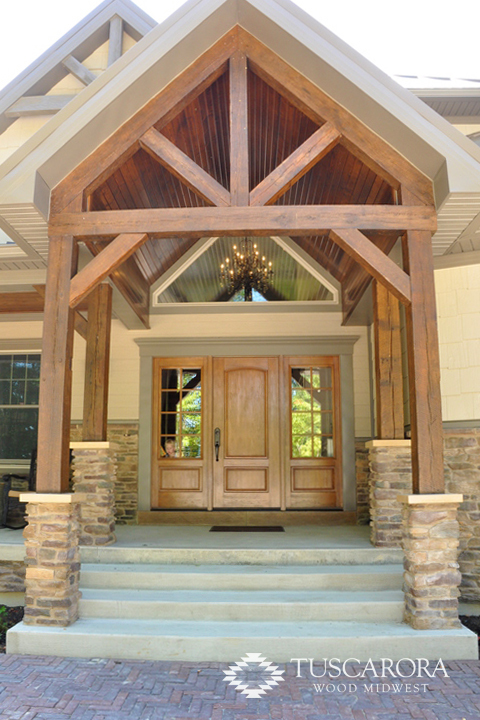 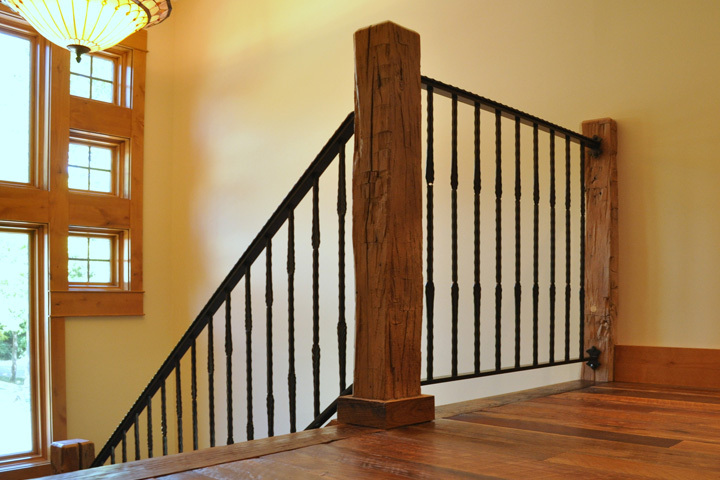 We can also create custom pieces that wrap existing support beams to give your beams a fresh new look. 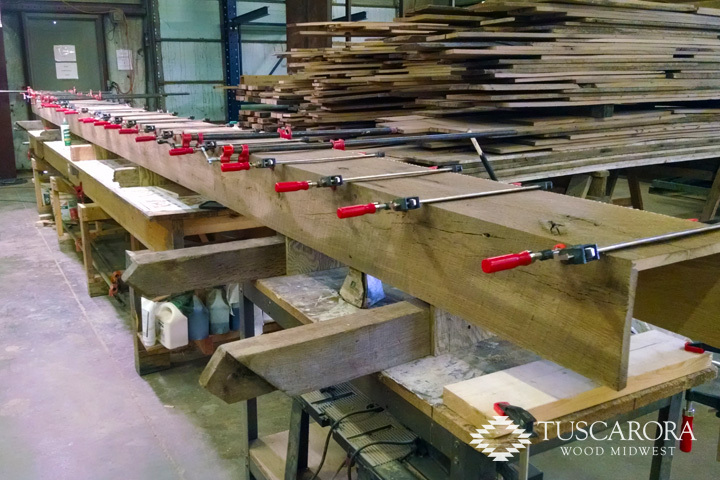 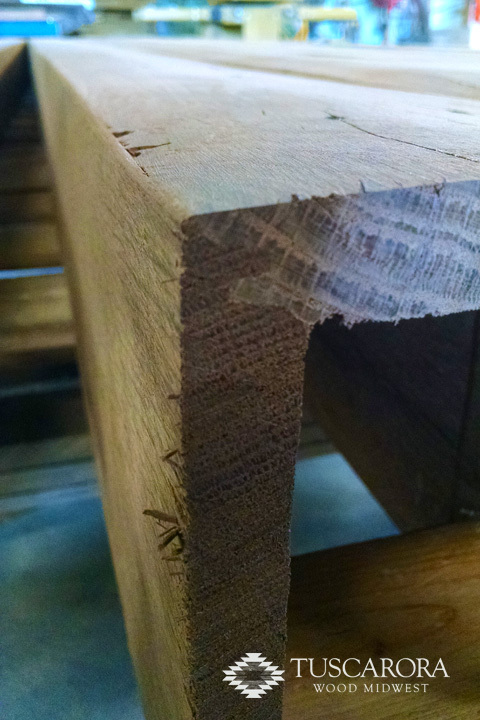 Our skilled craftsmen fabricate 3/4” boarding into beams by milling the edges and handcrafting them to appear as solid timber. 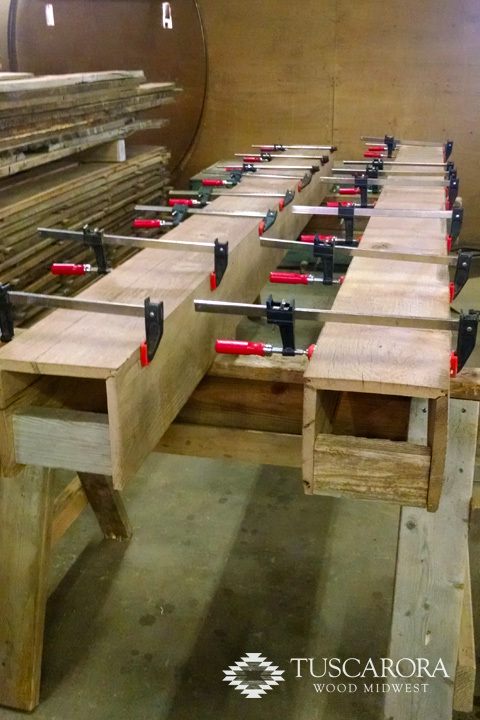 Since these beams are being fabricated, the size and length are completely custom built to fit your project needs. 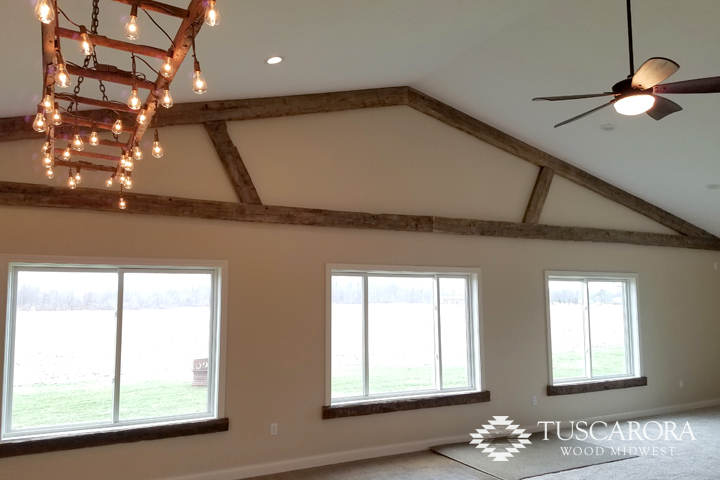 Our reclaimed wood beams can be used in a variety of non-traditional applications from fireplace mantels to staircase posts. 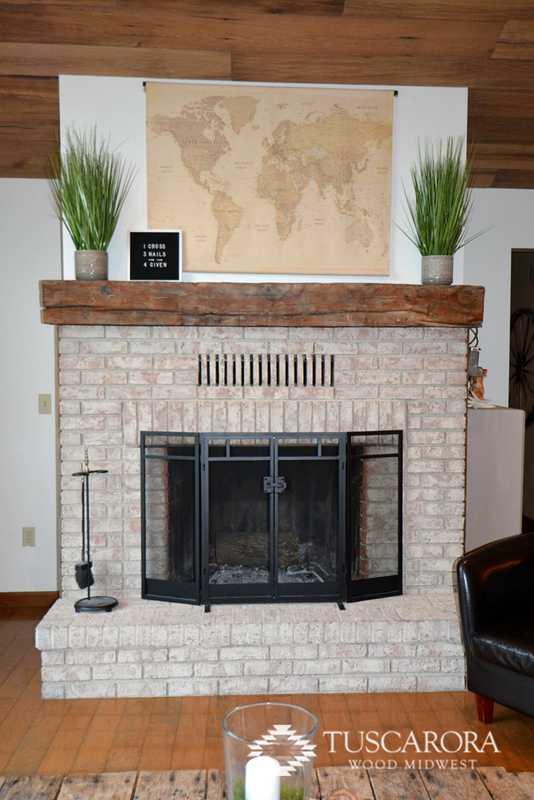 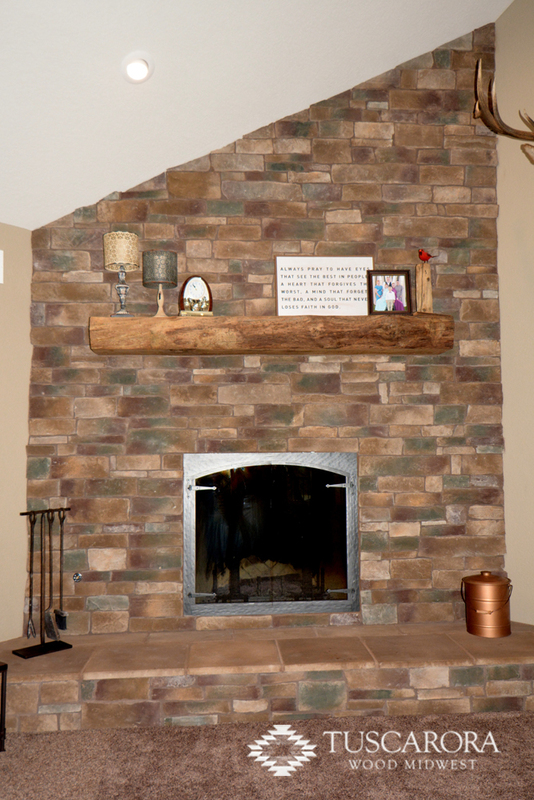 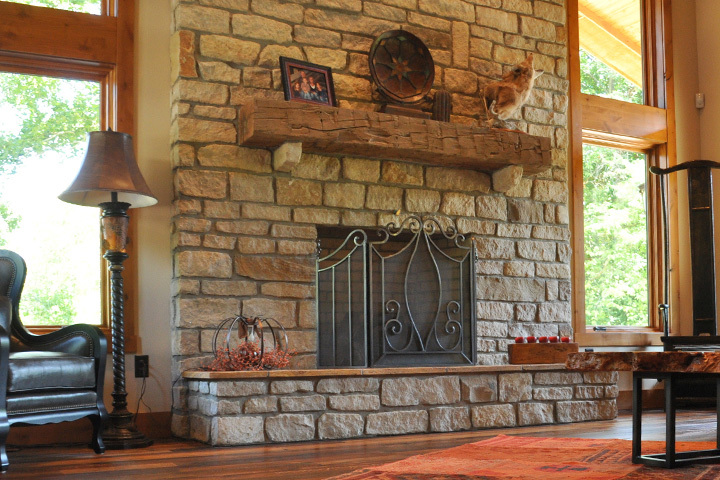 There is no warmer charm than a large fireplace with a reclaimed wood beam mantle over the top. 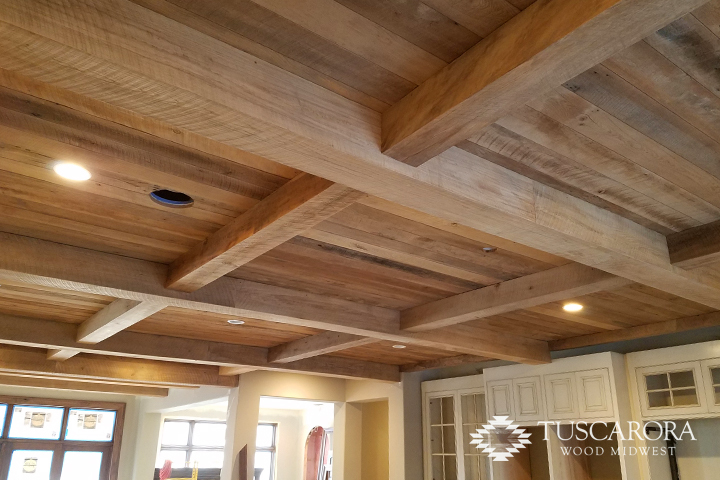 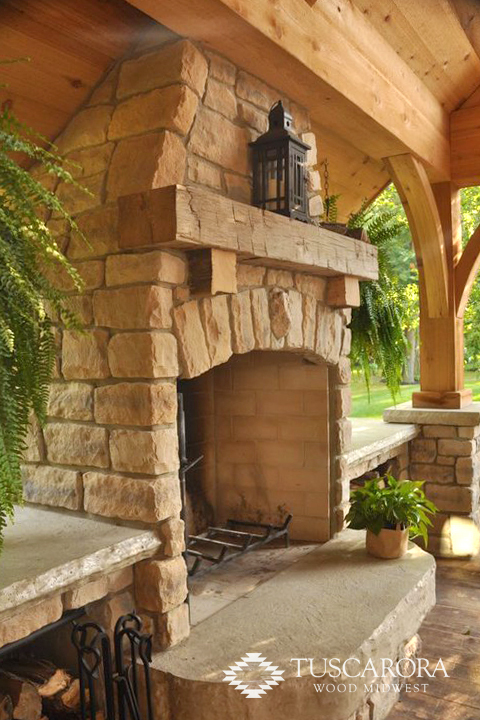 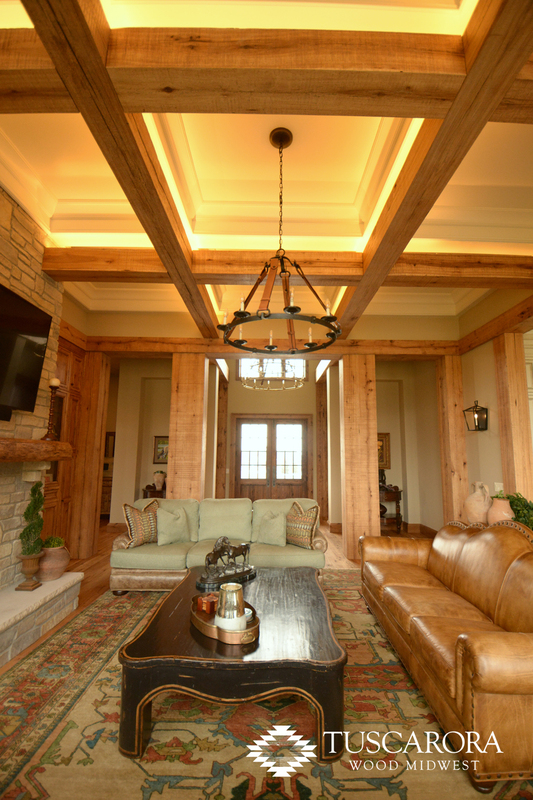 Whether it is a rustic hand-hewn or a more contemporary milled beam, we provide a wide range of beams and corbles to fit your home.